Meet Our Exceptional Dental Team Your comfort and quality of care is our main priority. Becky is originally from St. Clairsville, Ohio. She moved to the Columbus area with her husband, Eric in 2003. She started her career in dentistry shortly after that in 2004. Prior to that, she owned a pizza franchise near her hometown. 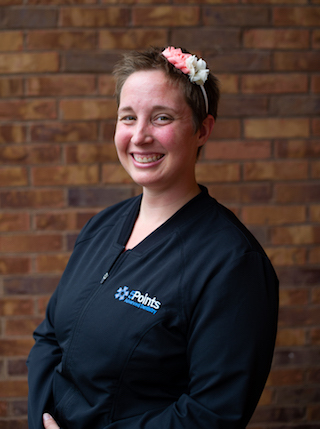 Becky loves helping patients feel comfortable by providing a fun and friendly atmosphere here at 5Points Advanced Dentistry. She prides herself on building long-lasting relationships with her patients. She lives in the country with her husband Eric and her cat, Kitwa. When Becky is not working you will find her in the outdoors. She enjoys hiking, working around her property, gardening, and having cookouts with friends. Kim graduated from Lima Technical College in 1995 with an Associates of Applied Science in Dental Hygiene and has certifications in Nitrous Oxide Administration and CPR. 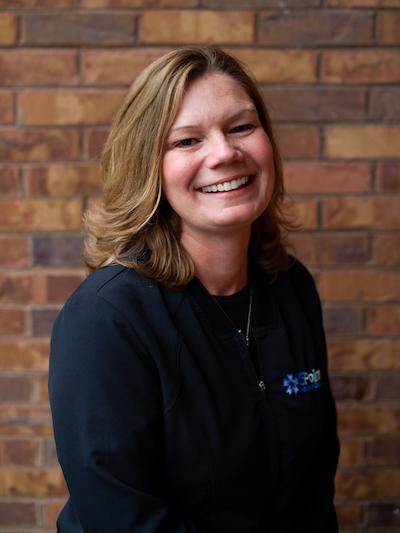 Kim is passionate about the dental field and providing the highest standard of care and utmost comfort to her patients. 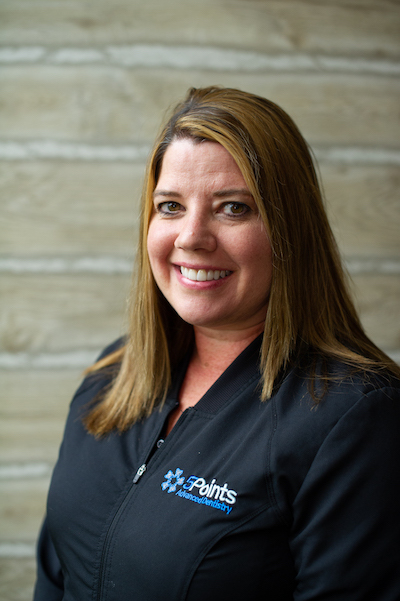 Kim enjoys meeting new people and always looks forward to establishing and growing relationships with her patients. Outside of work Kim enjoys spending time with family and friends. Her husband, Steve and three girls, Katie, Lydia and Maggie are the joy of her life. Her girls’ activities, church, travel and OSU football are a few of her many interests. After undergoing extensive oral surgery and orthodontia at the age of thirteen, Tracie knew she wanted to be in dentistry. Originally from mid-Michigan, she moved to Columbus to attend The Ohio State University. After she obtained her Bachelors degree, she began working full time in dentistry. 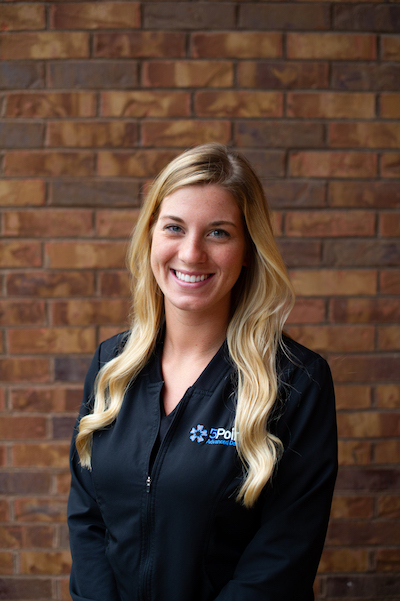 Starting at the front desk, she quickly became a chairside assistant, and then continued her education at OSU with the Expanded Functions Dental Auxiliary program. As an EFDA, Tracie is state board certified to place fillings. Her dream would be to one day return to school to become a dentist. In her spare time Tracie enjoys numerous crafts: scrapbooking, card making, quilting and crocheting. She also enjoys spending time with her friends, and cat Osito. Josie is from Grand Rapids, Ohio. She started her education in Toledo, Ohio for dental hygiene when she realized she wanted to be a dental assistant instead. She finished her schooling at Maumee Valley Dental Assisting School. She now plans to further her education by receiving her CDA and to attend The Ohio State University to become an EFDA. In her spare time, she likes to hang out with her friends and family, go camping with her boyfriend, Tom, and go hiking and ride her bike.